Can a breadless sandwich still be a sandwich? We say yes it can, at least in the case of the jibarito, which uses fried plantains as the "bread" for meaty sandwiches. A specialty of Chicago’s Puerto Rican community, the jibarito was actually invented in the States, in Chicago in the mid-’90s by expat Juan C. Figueroa. Sous-chef Nick Anichini of Ames Street Deli in Cambridge, Massachusetts, hails from Chicago, which lead him to invent this rather refined version of the casual classic. Think beef tongue and scallop mayonnaise. And that's just to start. The bread: The brilliance of a jibarito, of course, is that there's no bread at all, just crisp-fried disks of plantain. 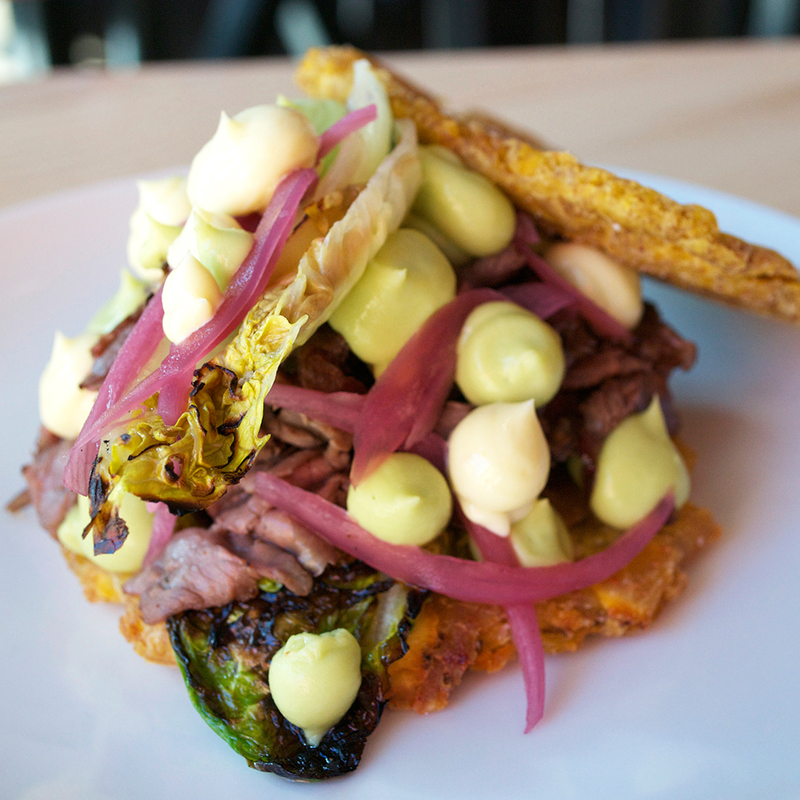 The filling: Take your pick of roast beef or beef tongue with avocado, pickled onion, and red romaine, all slathered with a scallop mayonnaise. Where to get it: Ames Street Deli, where the jibarito is perfectly in line with the modern menu, where many of the sandwiches feature unusual breads like mustard bread and nori-wheat bread.